Watch for announcements of the coming 2018-2019 season! M: Section 8.1 review worksheet. T: Read 8.2 and do chapter assessment 4, 9 - 12, 14, 18, 19, and 24 - 27; and Standardized Test Prep 1. W: Begin Locating an Earthquake lab. Th: Turn in Locating an Earthquake lab report. M: Review for Chapter 6 test. T: Chapter 6 Test. Read 7.1 and 7.2 and do exercises 7.7 - 7.11 and 7.13. W: Read 7.3 and do problems 7.15 - 7.17, 7.19, 7.21, 7.23, 7.25, 7.26, 7.28, 7.29, 7.32, and 7.34. 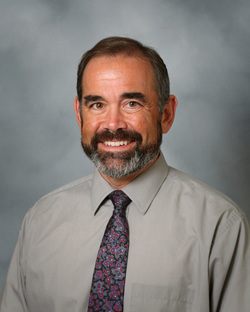 Hi, I am Dr. Quigley and I teach the Earth Science and Chemistry classes at James Madison Preparatory School. I live in Tempe and have one daughter, Allyson. While my title is “Doctor” I am not a medical doctor. I have a Ph.D. from Texas A&M University (Gig ‘em Aggies!) in Chemical Oceanography (2000) with an undergraduate degree in Marine Science (1991). Before coming to James Madison, I taught full time for Northland Pioneer College in Snowflake and Show Low, Arizona and at Roxbury Community College in Roxbury, Massachusetts. While teaching at the college level I had the opportunity to teach several different science courses from basic Chemistry and Biology to Human Anatomy and Physiology and Environmental Chemistry. It is strange how life takes you in directions that are different from what you had originally intended. I started graduate school with the intention of becoming a research scientist but I made some interesting discoveries about myself in the course of my education. First, I found that I become intensely seasick on small research ships (hence the oceanographer now living in a land-locked state). Second, I had a debilitating fear of public speaking while in college, and one of the reasons I decided to get my Ph.D. was that I knew it would force me to confront my fears in the classroom. I was given several opportunities to do some teaching during graduate school and, to my great surprise, I discovered that it was something I truly enjoyed. Once I completed my degree I had to decide if I would pursue a career in teaching or research. I decided to go with what I loved and that has made all the difference. Teaching Philosophy: it is my goal to give my students an understanding of how the physical world around them functions, from the mundane, like gravity, to the more exotic, like subatomic structure. In order to be able to interpret advances in medicine and technology I want my students to have a good understanding of the scientific method and of how science is done.